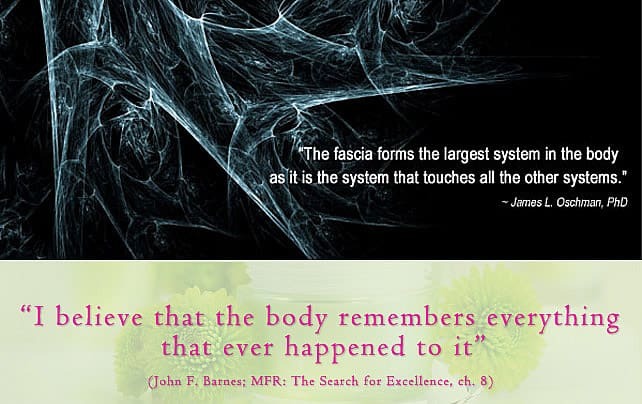 Fascia is a biological fabric that surrounds us like a body wide leotard. It’s an extensive web of connective tissue underneath the skin that surrounds every muscle, organ, nerve, and cell in the body. Fascia is full of nerve endings, made up of collagen, protein and water, kept hydrated and healthy by movement. Fascia is both plastic and elastic, moving and adapting to our external and internal environments. When our fascia does not slide, shear and adapt properly we are prone to lack of mobility, pain and injury. At Performance Pilates we address fascia in our Private Pilates sessions, Fascia Flow Pilates classes, Myofascia release and Rossiter sessions. "Rossiter" is an amazing system for pain relief. Click here to learn more!